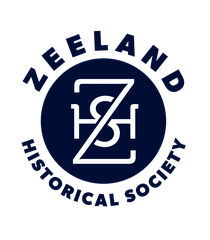 The Zeeland Historical Society is currently raising funds for a significant upgrade at the museum that will allow us to have better security and video footage of each part of the building. 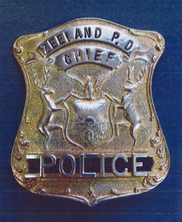 In late 2016, the badge of long-time police chief and Zeeland resident, Larry Veldheer, was taken from a display on the upper floor of the museum. Like many of the historic artifacts housed in our collection, the badge was a one-of-a-kind that cannot be replaced. Can you help? Funds raised would provide state-of-the-art cameras that connect to a single monitor at the front desk, allowing our docents a view of the entire museum from a one location. 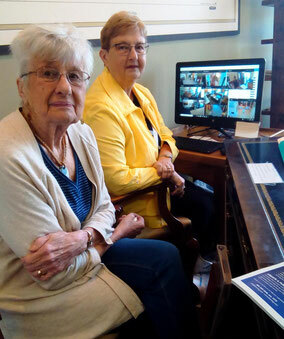 The Zeeland Historical Society is pleased to announce that a security system was installed in March 2018 at the museum. Thanks to the generosity of our members, this upgrade was almost completely funded with donations specific to this project.